You'll find that the 3-bed, 2-bedroom cottage is just as clean and comfortable as its Airbnb listing suggests. You'll wish that the host, Larissa, would become your new best friend. 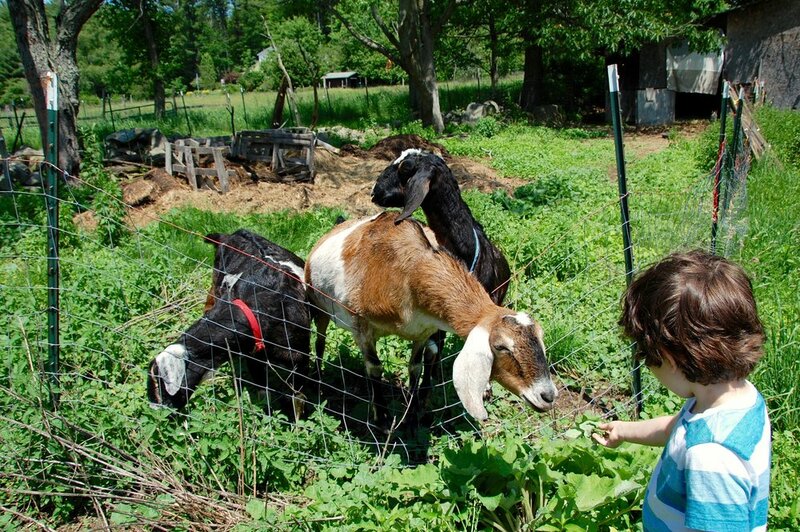 Meanwhile, your kids can meet the ponies, cuddle the bunnies, pet the funky chickens, and feed the goats. You can schedule riding lessons for an extra fee ($30/hour). Larissa runs a free hour-long needle-felting workshops using the farm's own wool, a great craft for kids ages 5 and up (or even younger, if your child is interested). Larissa welcomes kids with special needs and makes everyone feel right at home. Many families come back year after year. 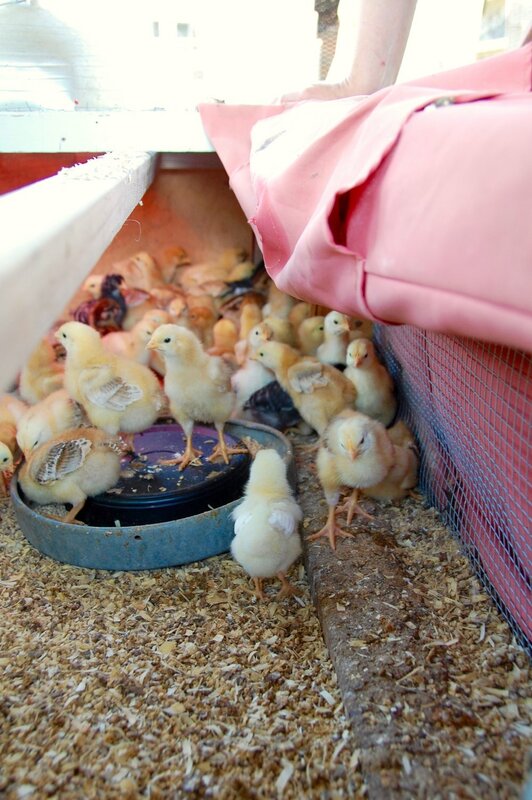 During our recent visit, we got to meet some mama chickens and baby chicks. We drove up straight from Brooklyn and walking onto the property felt like being transported into another world. This isn't an over-manicured, faux farm resort. We were greeted by wild greenery, freshly shorn wool hanging over a fence, and a magically friendly horse named Bugsy. There's a hand-built, pizza oven with a dome of made of clay, sand, straw, and horse manure. There's also just room to breathe. Our animal-obsessed 6-year-old son literally jumped for joy with each four-legged or feathered friend he spotted. It may have been the happiest moment of his life to date when Larissa casually set a bunny in his lap. Our free-spirited almost-3-year-old daughter just wanted to pick clover flowers in a field. Travel with kids can be really, really hard. Honey Hollow Farm Stay makes it so much easier. It's the kind of place where you can live in the moment, and make memories while you're at it. 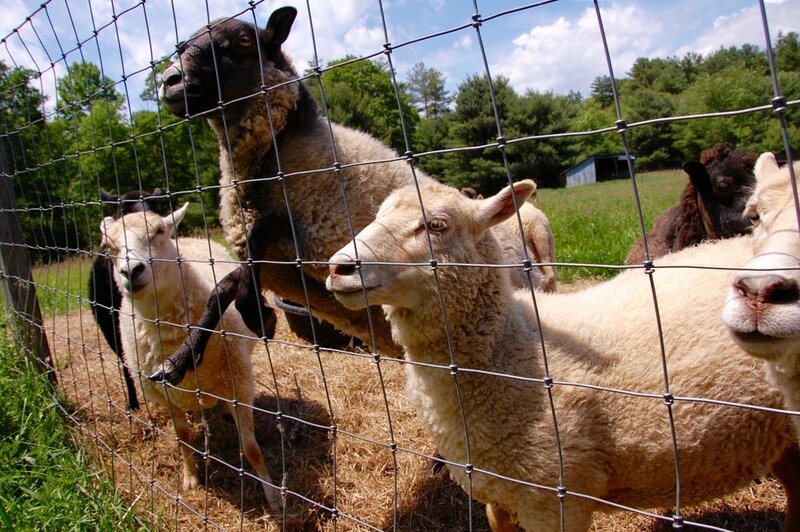 Get all the details on the Honey Hollw Farm Stay website. Book a room via Airbnb. Tell Larissa that her buddies at Brooklyn DoubleWide sent you!